It’s that special time of year, the time of giving thanks, eating a ton of food, and doing some Black Friday shopping. Let’s call it what it is, but strength gear can be expensive, so waiting until Black Friday and Cyber Monday is a great way to save or two on items you’ve had your eye on for quite some time. For a lot of athletes, Black Friday and Cyber Monday are the absolute best time to stock up on barbells, squat racks, weightlifting shoes, knee sleeves, and the works. These items can add up quickly, so waiting until companies knock off a percentage of their total price or something like a shipping fee can be a very market savvy move for your wallet. All week, we’ve been crawling the internet, the forums, and a plethora of company’s email newsletters to find the best deals for lifting gear. 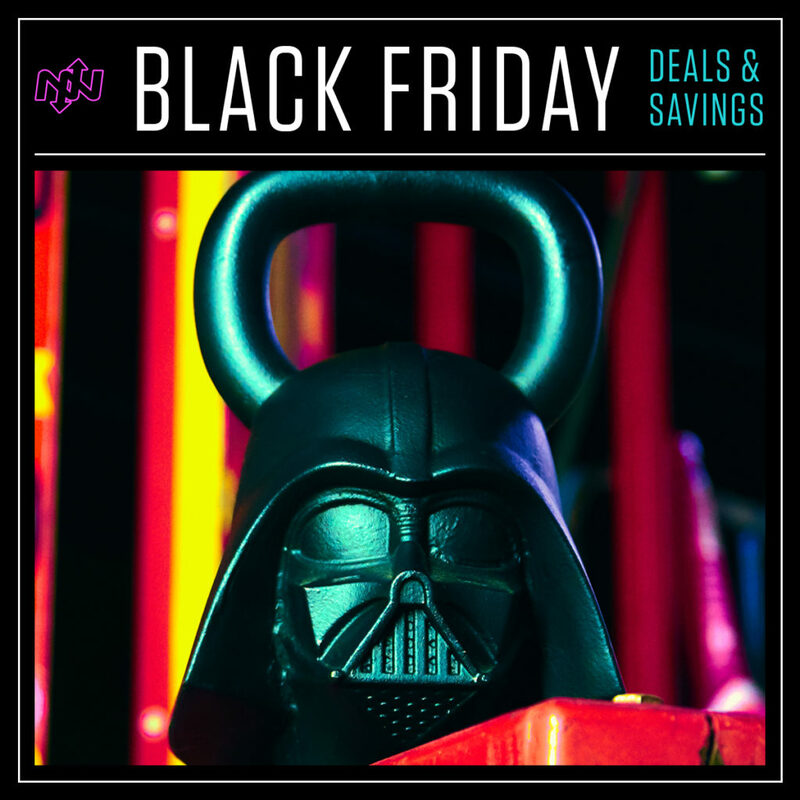 If you’re in need of new shoes, barbells, or equipment, then scroll down for the best 2018 Black Friday and Cyber Monday deals. Okay, this is a big one, and it’s become famous throughout the fitness community. 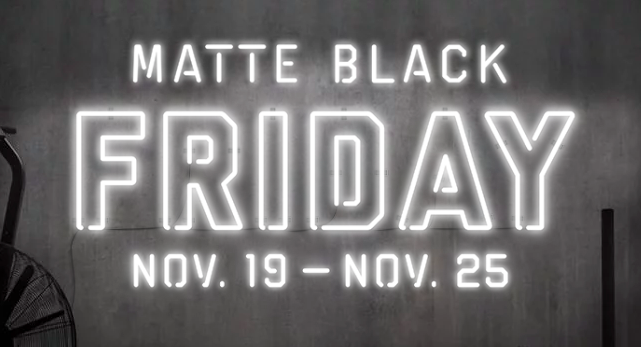 Rogue Fitness is hosting their annual Matte Black Friday sale, which is held from Monday, November 19th all the way through Sunday, November 25th. They have multiple specials going on including time sensitive sales, closeout deals, a “boneyard” deal, five for $5 shipping, and hundo-pricing (a Rogue Fitness special that decreases per every pound bought). Check out the Rogue Fitness Matte Black Friday Sale here! And make sure to check out our rundowns of the Best Rogue Fitness Barbells and Best Rogue Fitness Racks! Reebok has been having both Black Friday pre-sale daily deals and plans to provide their customers with a sizable deal on Black Friday itself. 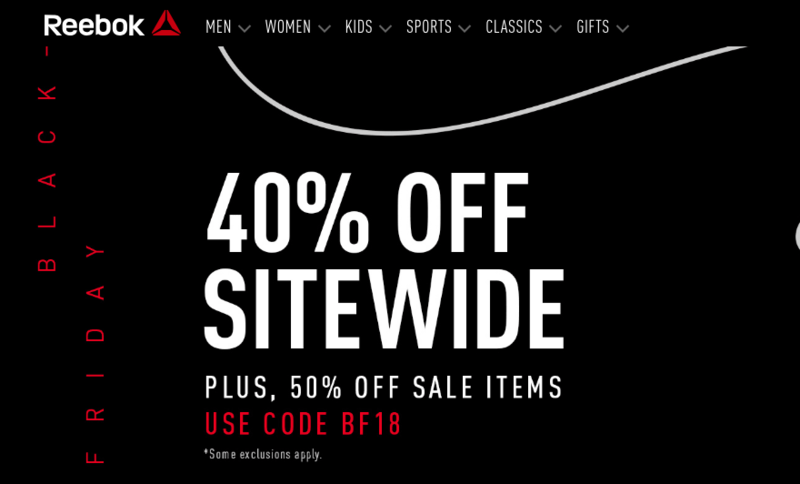 This year, Reebok has promised a whopping 40% off site wide with the code “BF18”. If you’ve been waiting for a time to buy new Reebok cross trainers or weightlifting shoes, this is a great chance to do so. In addition, Reebok will be having a 50% off sitewide sale for Cyber Monday when you use the code “CYBER”. Check out what Reebok has to offer this Black Friday here! NOBULL will be having a Black Friday deal, but not in the form of a dollar amount off their shoes. Instead, NOBULL has provided the option to RSVP for some of their most popular, often sold out models if you buy through their website. If you’ve been waiting for NOBULL trainers, then it might be a good idea to RSVP as soon as possible! A cross-training shoe that utilizes SuperFabric material to provide a supportive and comfortable fit. Bowflex is offering both a Black Friday and Cyber Monday sale on a variety of their products. Their sale entails either a percentage off the piece of equipment of your choosing, or free shipping. All of the sales are variable based on the equipment chosen and the code “BF18” is you redeem the sale. Check out various Bowflex home gym options and explore their Black Friday/Cyber Monday sales here! 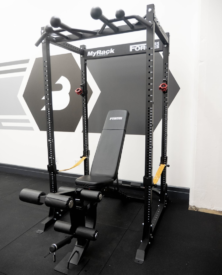 Force USA is offering 0% financing on their products, including the popular Force USA MyRack. Plus, exclusive to BarBend readers, you can get 5% off your first purchase by using code BARBEND, valid through the end of the year. The Force USA MyRack Modular Power Rack is constructed with 12-gauge steel rack and is both easy to customize and cost efficient. Kettlebell Kings makes some of our best-reviewed bells, and this weekend they’re offering multiple promotions for Black Friday. There’s never been a better time to snag one of their Steel Standard or Powder Coated bells! Plus, BarBend readers get a special discount with the code “barbend” at checkout! Shop Kettlebell Kings direct from the company HERE. Enter code “barbend” at checkout and receive 10% off your first order. Get RXd is having sales galore on their website, where shoppers can get up to 50% off sitewide (subject to specific deals and products). For items not marked down 50%, most of the rest of their products are at least 10% off through November 26th. Shop Get RXd direct for all their Black Friday deals here! Adidas will be having a sale sitewide that entails up 50% off select apparel and footwear items. The sale doesn’t cover every item that Adidas offers, but there’s more than enough to keep any strength athlete happy. In order to apply Adidas’ Black Friday special use “BF18” at checkout. Adidas will be having a sale sitewide that entails up 50% off select apparel and footwear items. The sale doesn’t cover every item that Adidas offers, but there’s more than enough to keep any strength athlete happy. In order to apply Adidas’ Black Friday special use “BF18” at checkout on Adidas’ site.